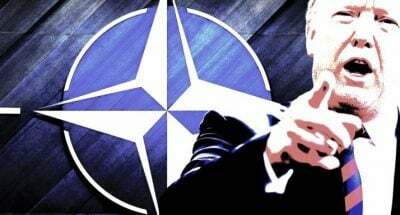 NATO Secretary General Jens Stoltenberg regularly confirms the alliance’s commitment to strive for peace, safety and stability in the Euro-Atlantic region, in accordance with the purposes and principles of the UN-Charter. “Our actions are aimed to defend individual liberty, human rights, democracy and the rule of law”. That’s what he usually claims at summits and meetings with chiefs of Foreign and Defense Departments of NATO member-countries. However, the alliance’s activity shows otherwise. Numerous heads of states and international organizations frequently denounce NATO war crimes and unauthorized use of forces. Nicaraguan president, Daniel Ortega, condemned United States interference in Nicaragua’s policy. Nicaragua “has always been a target of North American (United States) politics,” and it is, for this reason, several U.S. agencies have “prepared the people” to be against the Sandinista government, the Nicaraguan head of state said in an interview with CNN en Espanol. the president of Bolivia, Evo Morales, warned of the U.S. plans to invade Venezuela. “Before the elections they will carry out violent actions supported by the media and after the elections they will try a military invasion with Armed Forces from neighboring countries,” President Morales said on his official Twitter account. Of course, the U.S. destabilasing activity is not limited to this short list. It’s sufficient to mention NATO intervention of Yugoslavia in 1999 without the approval of the United Nations Security Council. Over a thousand NATO warplanes delivered at least 2,000 airstrikes in nearly 40,000 sorties, dropping over 20,000 bombs over the former Yugoslavia, killing thousands of civilian men, women, and children. In 2001, the U.S. forces tortured and humiliated prisoners in Afghanistan. U.S. phosphorus bombs were dropped on Iraq in 2003 despite the protocol III of the Convention on Certain Conventional Weapons, which bans its use as an incendiary weapon against civilian populations. All the facts above make it clear that NATO’s values have nothing to do with their purposes, and its commitment to democracy and law doesn’t stand up to scrutiny. Gabriella Lima is a French-Italian independent blogger, specializing in foreign affairs.